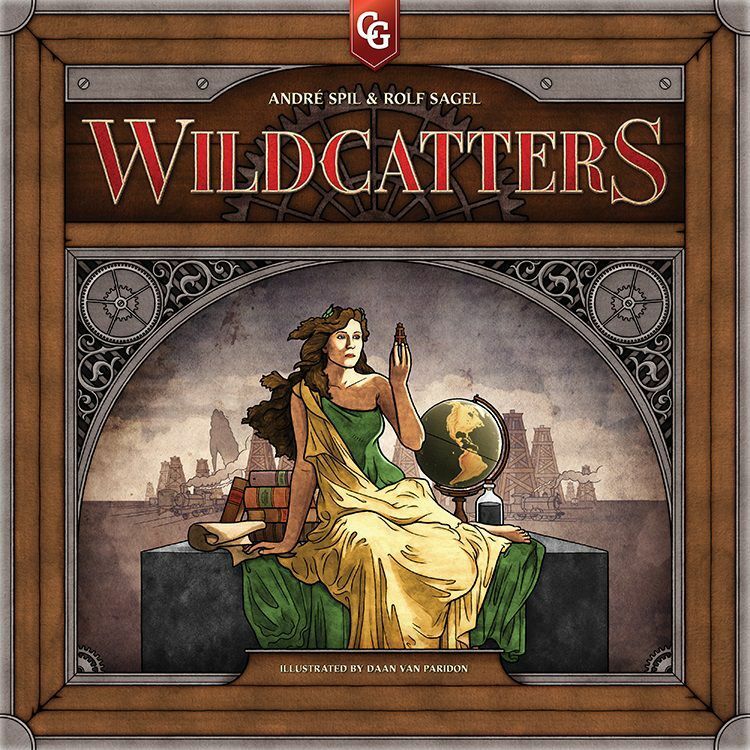 Wildcatters is a tactical and strategic board game set during the booming business of the 19th century oil industry! The players are oil barons who develop oil fields; bid for oil rights; and build rigs, oil tankers, trains, and refineries. Your goal is to deliver more oil barrels to the continents than the other players while also collecting more shares and money than them. The game lasts seven rounds with four players, and the game set-up is the same for each player, with three rigs, two trains, one tanker and one refinery being placed on the board. The game board features a world map divided into eight areas where you can find oil. Players choose an open area card and get money to build rigs, tankers, trains and refineries, after which they can buy oil actions. The players work together in an oilfield to find oil at a lower cost. The players transport oil together to the refineries, using trains and tankers from other players to deliver oil to the refineries – and all with one purpose: deliver more oil than the other players by the end of the game. Wenst u het gezelschapsspel "Wildcatters" aan te kopen?